My name is Mark Vaughan and I am a 40 year old husband and father of 2 little girls. I am also a landscape architect (Landscape Architects sit behind a desk for the most part and design public open spaces using computer aided drafting software). I was fortunate enough in high school and most of university to eat what I wanted, drink what I wanted and look good. I was never good at sports, so I didn’t get much exercise. 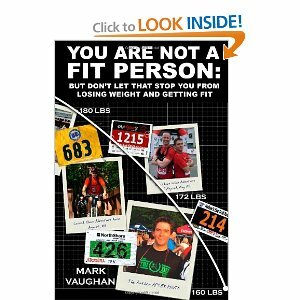 I certainly wasn’t fit in any way. My problems began during later university when I started putting on a few pounds a year. I started to get fatter and fatter until I was over the 200 pound mark (I am only 5’ 9” tall). I have spent almost all of my adult life being considerably overweight. I don’t know if I feel bad spending so much time here in my ‘who I am’ section talking about my battle with weight, because I know I am so much more than this, but to be honest, this battle has defined a tremendous amount of my life. It wasn’t until I was standing in my bathroom, about to get on the scale, about 6 years ago, that things changed for me. I made a bunch of revelations that forced me to go out and solve my weight problem. I had to stop listening to the experts, who had been of no help to me. I had to find the pieces to this puzzle of obesity that so many of us are finding it impossible to solve. I believe that I have found those pieces, and I have written them down. Keeping my weight down is never going to be simple and it is ongoing, but I have reached my target weight and I have sustained it for quite some time now. I am trying to find ways to share the methods that have allowed me to do this with you. I have published them in the book which you can purchase by clicking the image in the sidebar, and you will find my latest thoughts in my blog. Please feel free to write me if you have any questions. The tips in this blog are companion notes to the book though. I don’t want you to think that you can just substitute some food items and that was the secret to weight loss. It is much more complex than that. I will try to include as much information as possible in this blog, but it really is intended to read as an add on to the book. If you are ready to get started on a fit and sustainable future, click here for a quick start to get going.